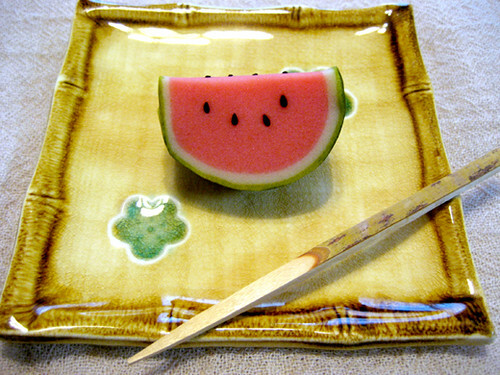 Nerikiri”watermelon” is a kind of Japanese traditional cake which is made by sweet bean paste. Nerikiri sweet is supposed to delight the eye as much as the palate. It melts in your mouth easily. 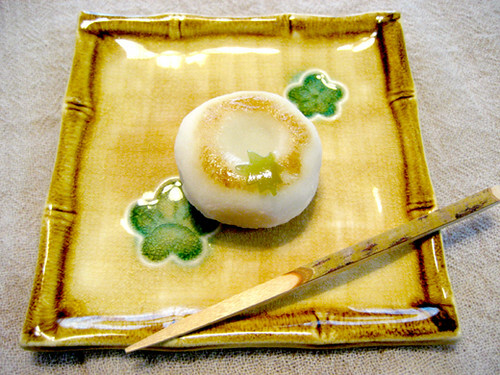 Gyuhi mochi cake”water jar” is also a Japanese traditional cake. 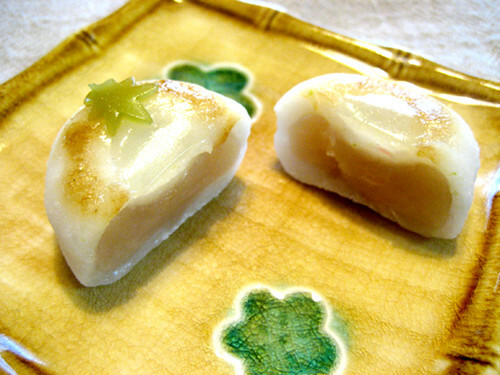 Gyuhi is a softer variety of mochi, and both are made from either glutinous rice or from glutinous rice flour. This water jar sweet is expressive of a wake and a maple leaf float on the surface of water. They are unbelievably beautiful and artistic! Aw, so cute! These cakes look good! 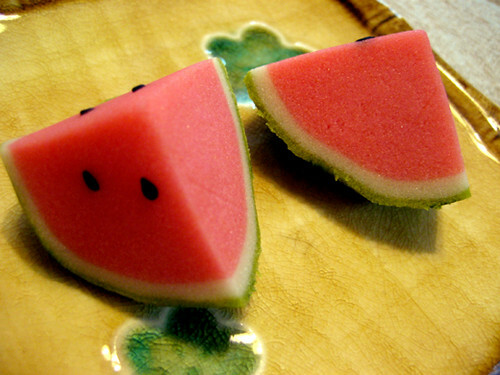 Looks just like a real watermelon. I had plenty them this summer since it was so hot here in New York.